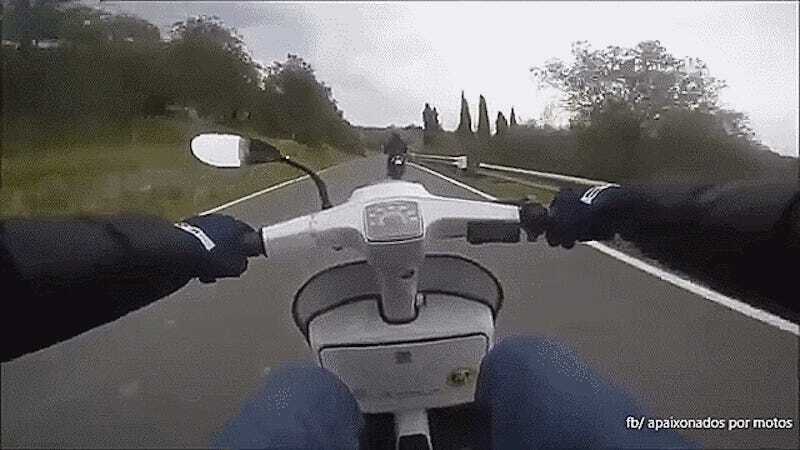 There you are, out for a nice afternoon ride when you pass a little white scooter. You make the pass and get along your way, and he’s out of your mind. That is, until he wheelies past you like a unicorn galloping in a fit of glory. There is something deep inside of all of us that really loves putting quick motors in unassuming packages. If you’re still struggling to figure out why, check out Paul Newman and the 5.0 liter V-8 he put in his Volvo 960 Wagon. The clip above was shared by Reddit user Internezz, but I found the page of the bike builder on YouTube, who had several more videos, including the compilation below. He also has a website, which you can see here. Anyone have a scooter they’d like to lightly mod?